to the leaders of social media and digital platform giants, it's thought that Burger King has hit pause on ads. GM of cooperate communications at New Zealand's ASB Bank, Christian May, tells AdNews that it too has halted ads. “Yes we have paused paid social media advertising and we are working closely with the Association of New Zealand Advertisers,” May says. ANZA and the Comms Council say they recognise social media provides many community and social benefits, but add that with that comes responsibilities for social media owners to effectively moderate content on their sites. “ANZA and the Comms Council encourage all advertisers to recognise they have a choice on where their advertising dollars are spent, and carefully consider, with their agency partners, where their ads appear,” an ANZA spokesperson said. Lotto NZ says it's pulled advertising from social media “as the tone didn’t feel right in the aftermath of these events”. 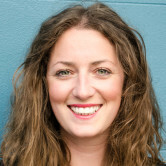 “Like the rest of the country, Lotto NZ is shocked and saddened by the tragic events that occurred in Christchurch on Friday,” says Lotto NZ spokeswoman Kirsten Robinson. A YouTube spokesperson tells AdNews that it does not allow ads on videos about sensitive events, even in news footage. “Since Friday’s horrific tragedy, we’ve removed tens of thousands of videos and terminated hundreds of accounts created to promote or glorify the shooter,” the spokesperson says. “The volume of related videos uploaded to YouTube in the 24 hours after the attack was unprecedented both in scale and speed, at times as fast as a new upload every second. In response, we took a number of steps, including automatically rejecting any footage of the violence, temporarily suspending the ability to sort or filter searches by upload date, and making sure searches on this event pulled up results from authoritative news sources like The New Zealand Herald or USA Today. In the wake of the Christchurch shootings and in response to major concerns about unmoderated content, a host of big name brands have boycotted social media platforms. Following the terrorist massacre last week which shocked the nation, the Association of New Zealand Advertisers (ANZA) and the Commercial Communications Council have spoken out about the role social media played, particularly in relation to live streaming. ANZA and the Comms Council say their members will work together over the next few days on what more can be done by advertisers, agencies, platform owners and global partners to reduce the chance of this happening again. “The events in Christchurch raises the question, if the site owners can target consumers with advertising in microseconds, why can’t the same technology be applied to prevent this kind of content being streamed live,” an ANZA spokesperson says. 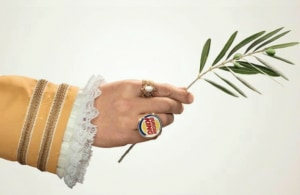 Following news that New Zealand's biggest telcos have penned an open letter to the leaders of social media and digital platform giants, it's thought that Burger King has hit pause on ads.